AGM RECAP - This year’s JASNA AGM in Minneapolis, Minnesota was attended by over 750 Austen devotees. We heard from scholars and specialists, we bought books and Regency era clothes and accessories, we dined and danced, and most of all, we conversed about our favorite author. Please join us at our next meeting for our traditional AGM recap. We’ll have door prizes, pictures and stories, and we’ll do our best to bring the AGM experience to our members who could not attend. Those of you who DID attend (and you know who you are) are cordially invited to share your experiences with the group. 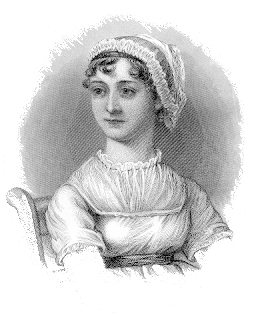 READINGS – “And to all this…improvement of the mind by reading…” If you’d like to read a favorite selection from Pride and Prejudice, or any P&P-themed topic from period reviews to Austen’s letters, please bring your source along and prepare to share. We’d love to hear from ALL of you but if you are shy, never fear – we will not make you read. In order to ensure that all young ladies have time to exhibit, we do ask that you keep readings under 3 minutes, unless you have something very special, in which case, please let me know by the day of the meeting and I will do my best to make sure we can accommodate you. Shared readings are always welcome, so do invite a friend to read with you!